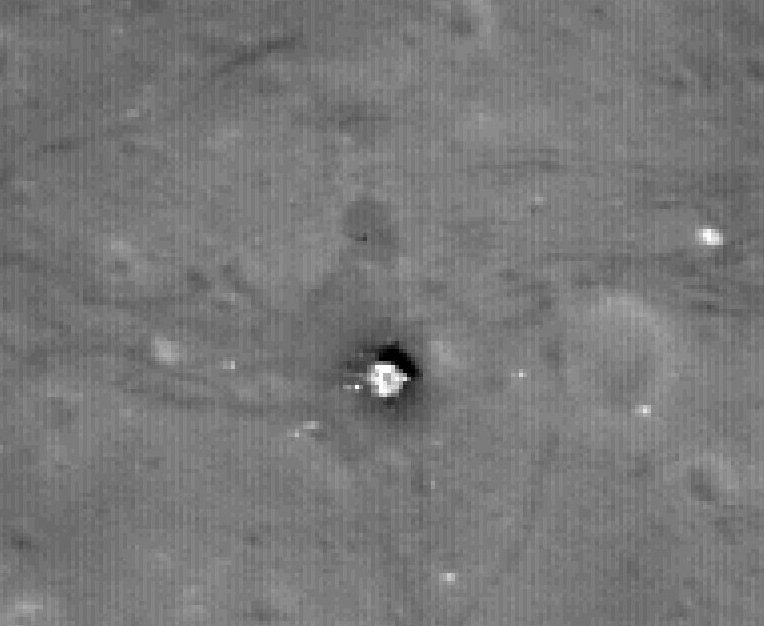 So… and come on, you knew this was coming… looks like the Apollo Moan Hoax Believers have been slapped across the face with a wet fish yet again! 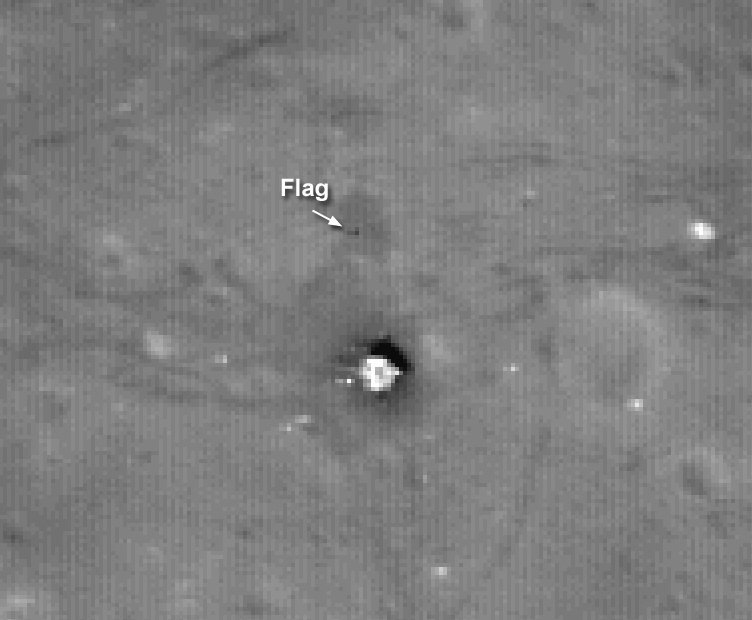 We now have a photograph of a flag standing on the Moon, right where it was thrust into the lunar surface by astronauts. As far as I’m concerned that’s it, Game Over. Of course, die-hard Hoax Believers won’t buy it, not for a moment; they have too much time and face invested in carrying on with their little crusade to back down now. 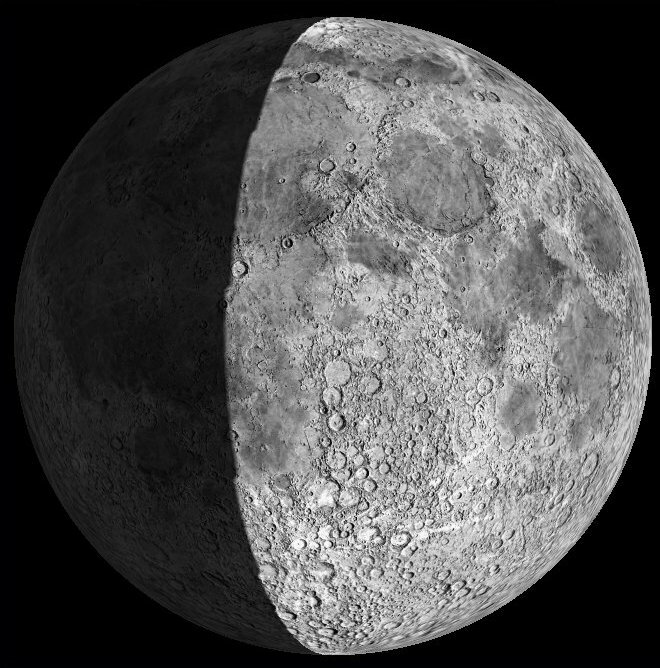 They’ll say that “a few pixels prove nothing”, that it’s just a Photoshop job by someone at NASA. Whatever. 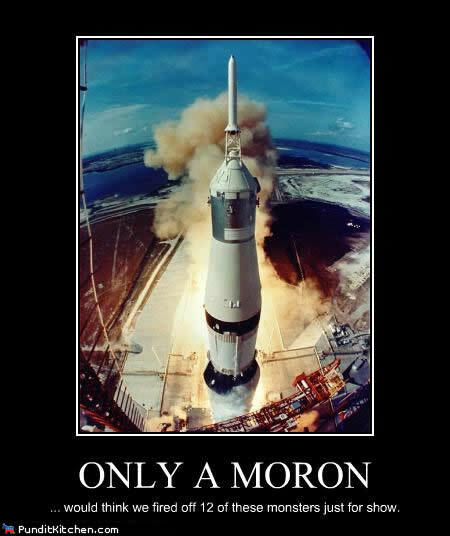 They can go on believing what they want to… while the rest of us laugh at them, knowing that in the “My Big Book Of Stupid Things To Believe”, believing that the Moon landings were faked is right there at the top of page 1. 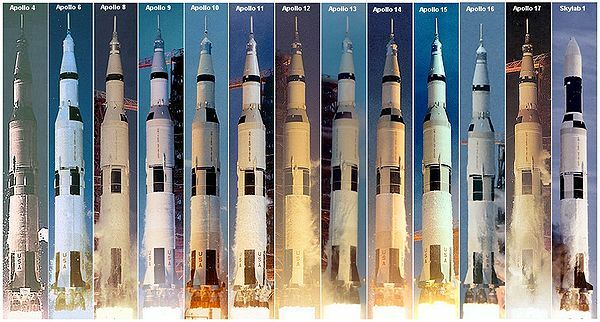 I genuinely wish that these Hoax Believers would all have an epiphany, at the same time, that would open their eyes to the wonder, drama and beauty of Apollo, because they are missing out on so much! I mean, what’s better for getting the most out of life? 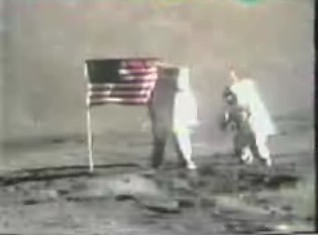 a) believing, and telling others, against all the overwhelming and unquestionable evidence there is, that the Moon landings were hoaxed and billions of people have been lied to for a generation, or b) being able to go outside on a clear night, look up at the sky, see the Moon shining there and think “Some of us… some of my stupid, brilliant, arrogant, kind, selfish, generous, destructive and creative species actually stood on that…”? 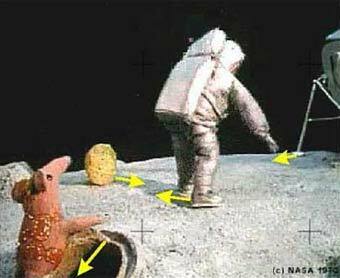 Look at it, Hoax Believers! 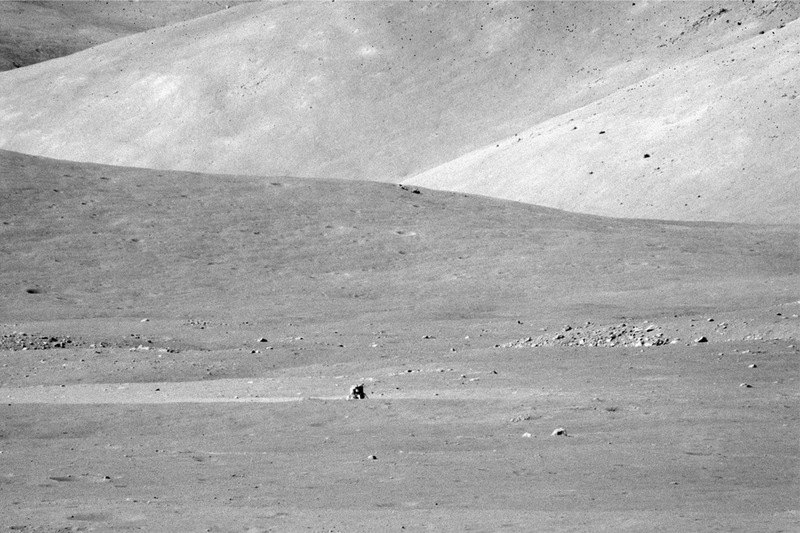 How did NASA fake that image, a portrait of of Apollo 17’s landing site, taken by one of her crew, from far away? That was his home – that tiny, fragile, oasis of a spacecraft, sat in the middle of a vast, dusty plain with mountains behind it..! Why doesn’t that breathtaking image fill you with wonder, like it does countless millions of other people? How come you are so immune to the sheer beauty of that picture? How can you look at it and NOT feel your heart race a little faster, thinking “Look what we did… look what we did..!”..? 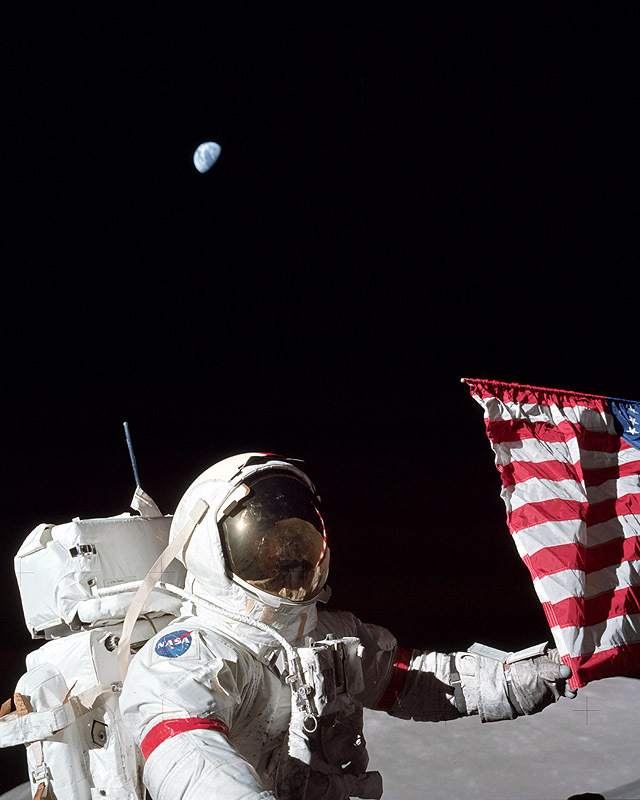 And how can anyone look at this brilliant picture and not feel a shudder of pride and wonder run through them..? Which is a really good point, one that is totally passed over by Hoax Believers. They’re not, as far as I know, disputing the fact that they all launched, that they weren’t faked, right? 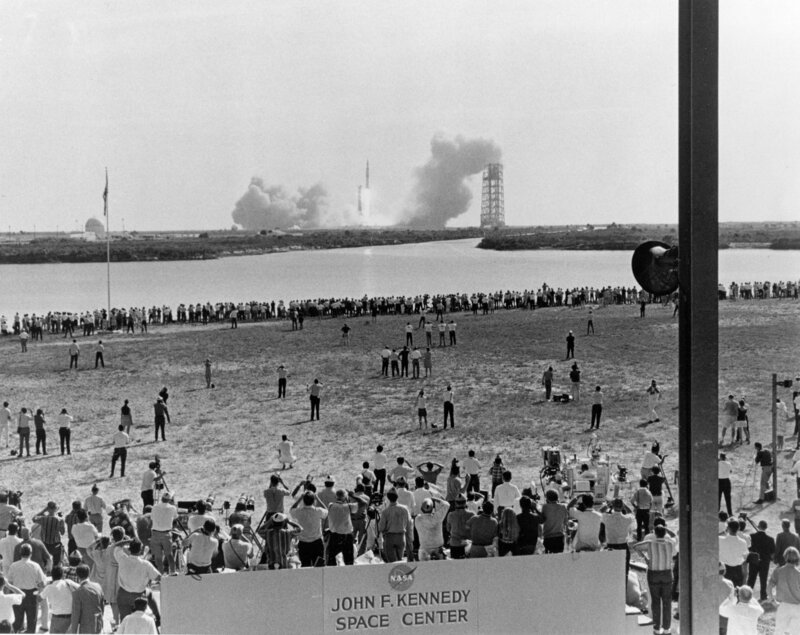 How can they, when hundreds of thousands of people witnessed those launches in person, standing at the Cape, shielding their eyes from the Sun, staring open-mouthed at the ascending rockets as the crackling blast wave from lift off flapped their hideously checked trousers and migraine-inducing patterned skirts around them? Answer: because there was no conspiracy, there was no hoax, it was not faked. And anyone who chooses to believe othwise is an idiot. 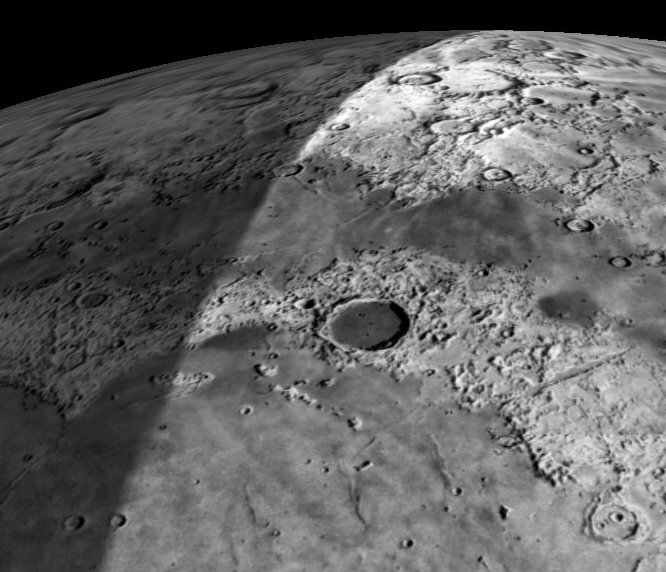 And the view really was very pretty, with mighty Clavius and the rest of the southern craters standing out really well in each telescope’s eyepiece – until the Moon was hidden from view yet again. I can’t help wondering how many more people we would have had if the sky had been clear – several hundred, I reckon, easily – but I guess we’ll never know. 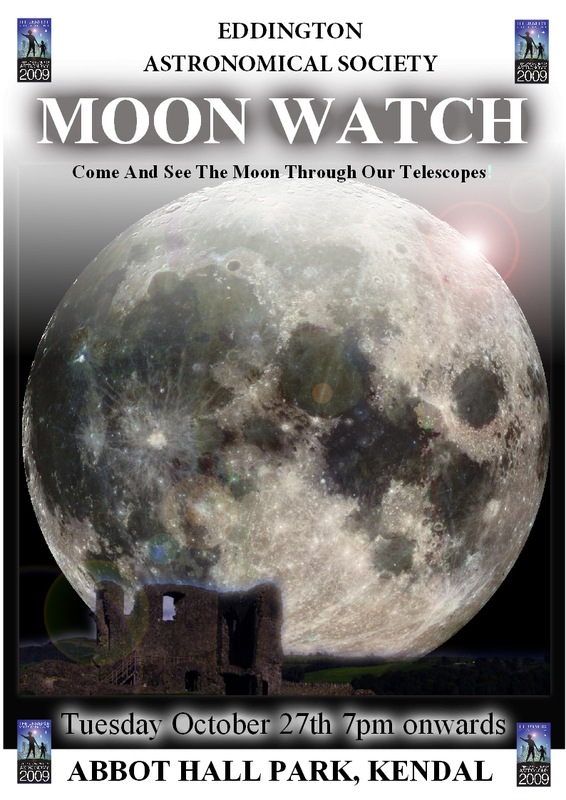 So, thanks to everyone who came down to take part in our official Autumn 2009 MoonWatch – especially to Glyn Jones, who took the above photos of the event for me, after my stupid ***** **** **** camera batteries died on me…!! 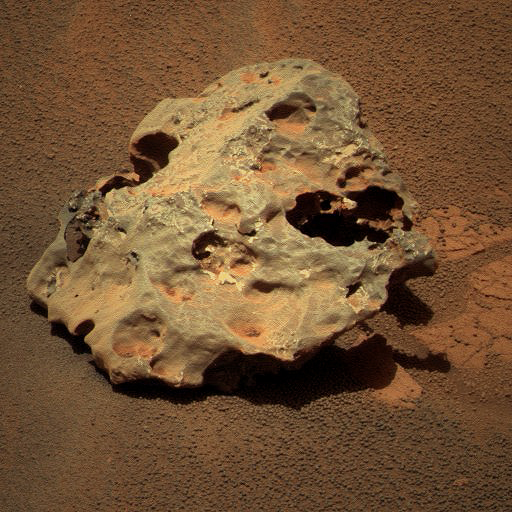 Oppy: Mars’ most succesful meteorite hunter! 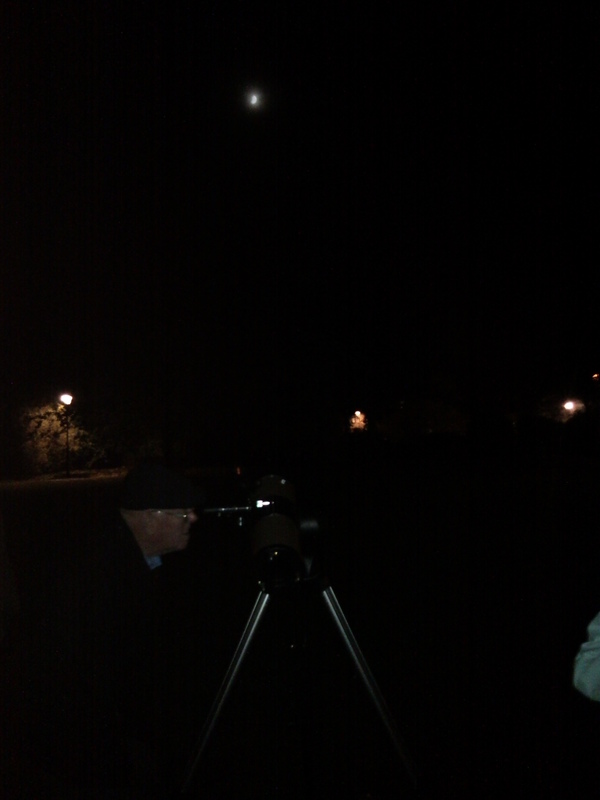 EAS “JupiterWatch” Success / MoonWatch next! 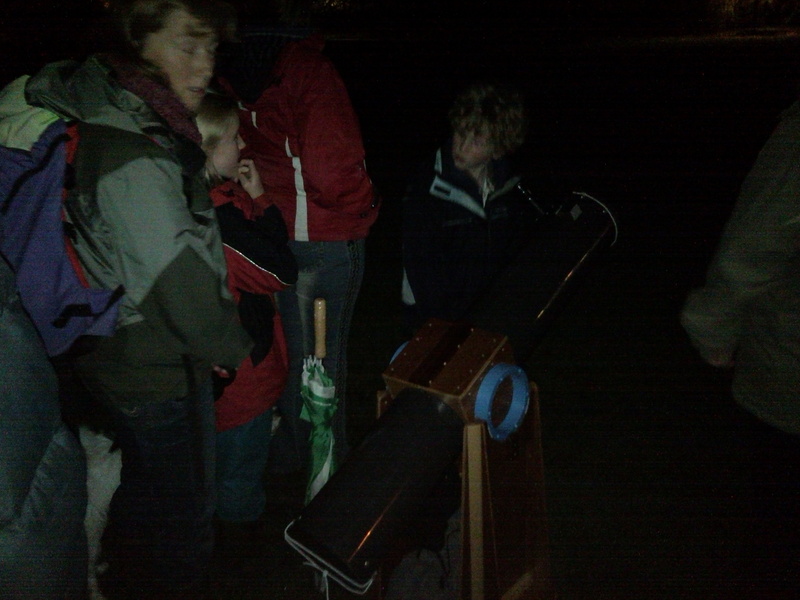 Friday night’s “Jupiter Watch” down at Abbot Hall Park was a great success, and I think we showed around 40 people the planet Jupiter and its 4 largest moons through our telescopes between 19.00 and 21.15 when thickening mist and increasing damp sent us packing. There were some very interested people – many of whom had some very strange ideas about what stars are and what is going on “up there” but that’s what we’re here for, to educate and inform – and we even had a visit from a friendly and fascinated chav-hunting police officer (who got a gold star in my book for turning his bright, dark-adaption ruining torch off when I asked him!). 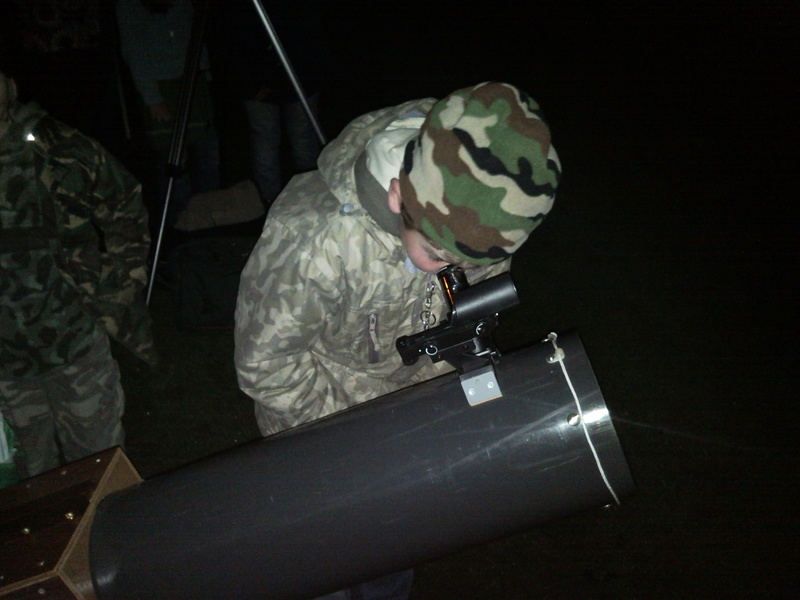 We had four different telescopes down on the field, all providing pleasingly different views of Jupiter. Once my trusty 4.5″ scope’s tube had cooled down I was rewarded with very pleasing views of Jupiter and the 4 “Galileans” and two dark cloud bands cutting across Jupiter’s disc, too. Rather than me write-up the full thing here, I’ll ask you to take a look at Philip Stobbart’s report (with pics) over on his blog. Coming next: our official IYA 2009 Autumn “MoonWatch”..! I think we’re going to get a pretty big turn-out for this event, not just because we have fantastic support from the local media, but because this event is featured on the official IYA 2009 website, so it will attract visitors from outside our usual area.